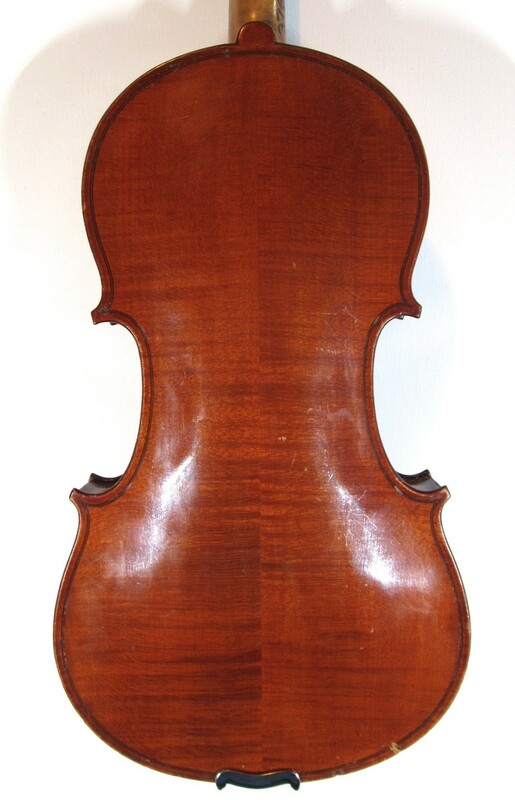 Early 20th century French violin, labelled Modele d'apres Antonius Stradivarius etc. 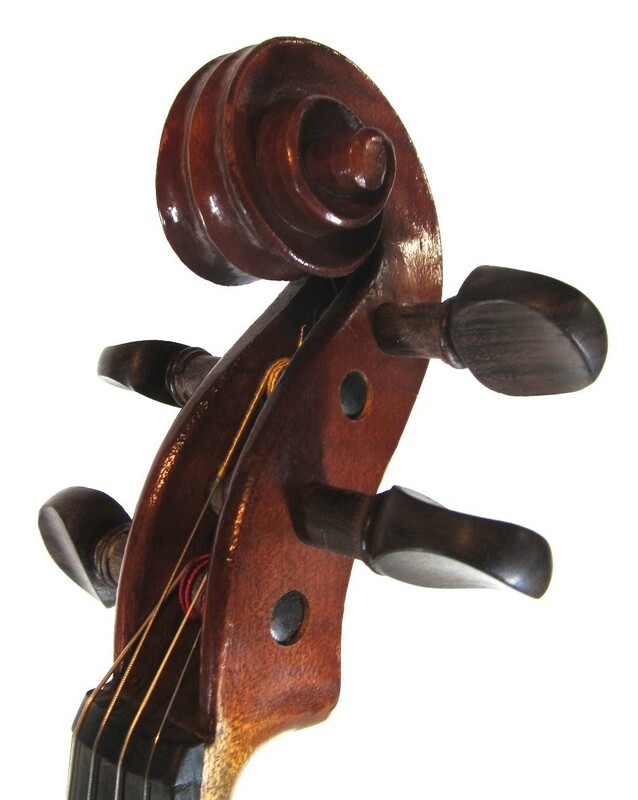 Very high quality Mirecourt instrument, from the higher end of their range. Good woods and meticulous workmanship - the quality of the scroll carving is particularly noteworthy. 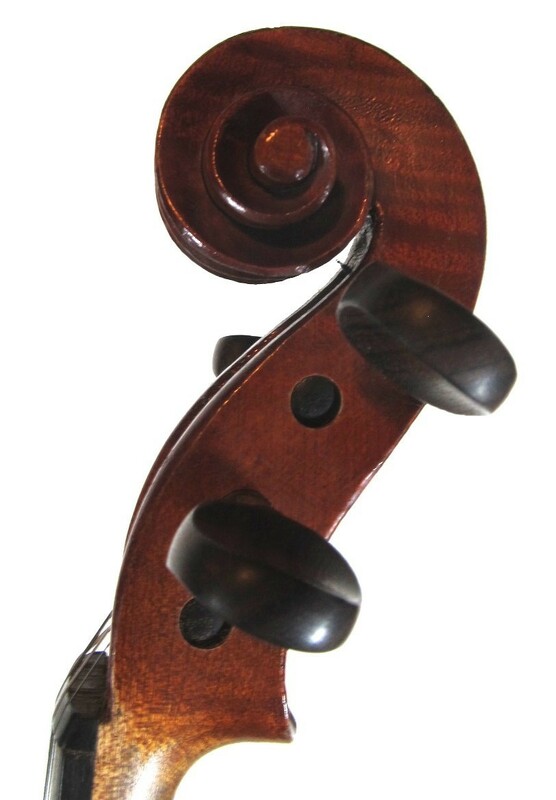 The sound is smooth, robust and powerful: a great instrument at every level. 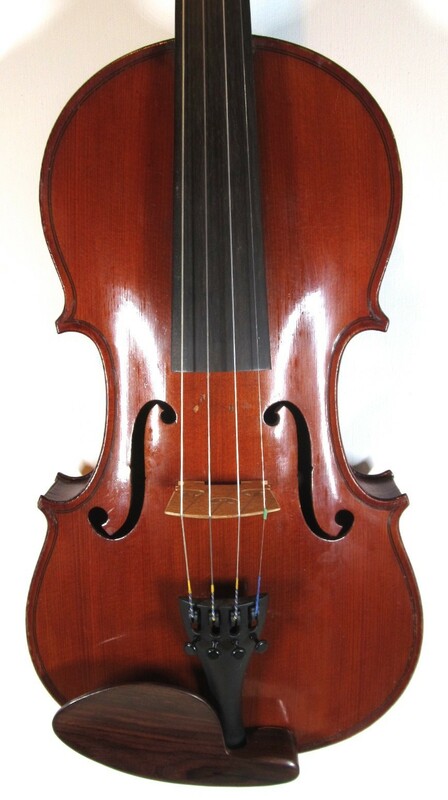 Condition: There is a line in the varnish above the bass-side f-hole and a few minor dings, but no structural problems - no cracks, repairs or other issues. Set-up: New rosewood pegs and chin rest, new soundpost and Aubert bridge, new Helicore strings and Wittner tailpiece. Every Wild Goat Fiddle is checked carefully, and fingerboards and top-nuts are adjusted or replaced as necessary.